The Washington Equestrian Center is a privately owned and operated hunter/jumper facility offering intimate and high-quality equestrian services. We strive for excellence in Horse sales and leasing. WEC is located in Washington Depot, Litchfield County, CT - An hour and forty-five minute drive from Manhattan. Our facility sits on 75 acres of plush farmland, off a quiet road in the heart of the Litchfield Hills. We offer a wide range of services for horse sales, consignment board and training of your equine looking for a new home. Owners Harry Harrison and Amy Nauiokas opened the Washington Equestrian Center in Jan 2012. 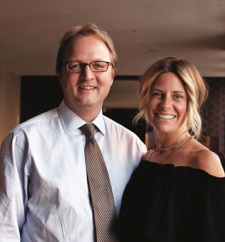 Active entrepreneurs, Harry and Amy are thrilled to help share their lifelong equestrian interest to a new community of Litchfield County riders.